The most challenging tune of the date was my opening composition, "Night In Turquoise/Dance Over The Edge". The story of that tune is about an evening Geri and I had where we were both moping around at home feeling really bored. 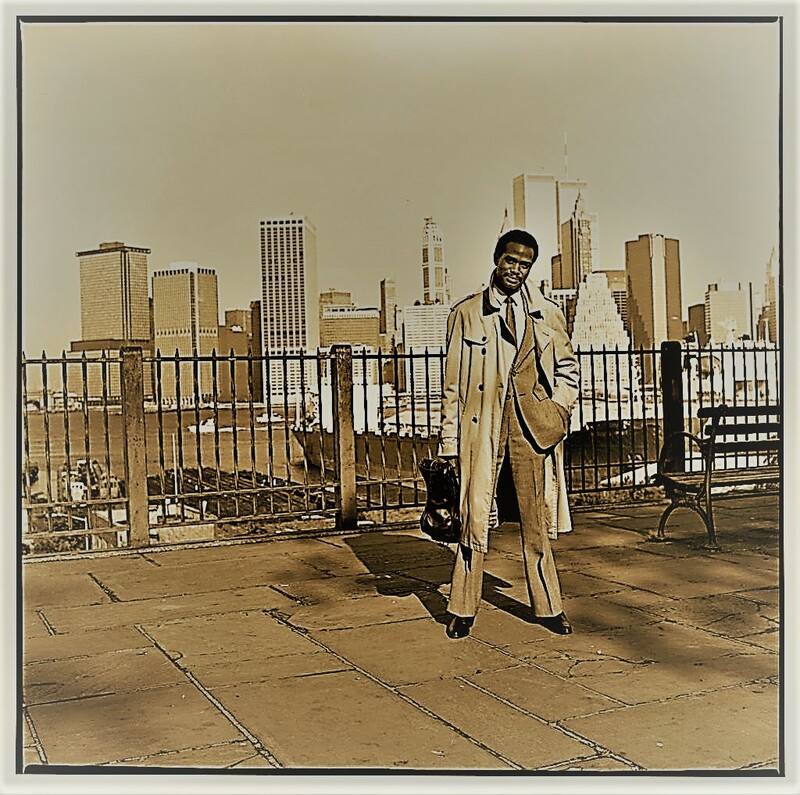 My friend guitarist Eric Johnson called and said he was performing down in the Village with George Benson's rhythm section led by bassist Stanley Banks. He said for us to come down and he'd leave our names at the door. So we got up and dressed, Geri in turquoise, and we went down to the Village to check Eric. We ended up having such a ball that night! We partied and danced all night long, and I mean all night; something we had never done before. Just about every tune (because they WERE funky! ), we were up on the dance floor working it! We kept saying to each other, "why don't we do this more often?" And I was very impressed with Geri's dance stylings. The girl had some moves! So the next day, I wrote this tune. It has a recurring interlude section in 7/4 time, followed by a verse in 11/4 with the main section of the tune in 4/4. Not a difficult tune, the challenge was getting all the sections to flow seamlessly, which was masterfully accomplished by our drummer Greg Bufford. Right away, I think the band establishes its own sound and style; as well as the fact that this isn’t your usual jazz session. With his use of bells and chimes along with his percussion instruments, I think Bop’s role was a major factor in accomplishing our unique sound. It sounds like jazz, yet something different and new. Next up is my composition, "Fugue 1978". This is a tune in 5/4 time with a prelude in 4/4 time. This was one of my earliest compositions written back in my Pittsburgh days for the Fielder Brothers Quintet. Fugue, in this case, does not refer to the classical music definition. It refers to the other definition of being in a state of consciousness between awake and asleep. Obviously, I had a profound morning back in 1978 upon awakening! Geri is just FIRE on this! I also recorded this tune again with my current band, the DFQ with Jane Getz on the CD entitled: "Short Forms" on the BluePort label in 1998. The title cut of our CD, "Scene From A Dream" was written by our bassist Michael Logan. Mike is an excellent composer and collaborated with the Italian singer-songwriter and musician Giuni Russo, in writing her first album, "Love Is A Woman" (1975) contributing an original composition, "Every Time You Leave". In 1990 he recorded for Muse Records the CD "Night Out" as a leader with jazz greats Benny Green, Joe Ford and Houston Person. His latest CD was released in 2017 and is entitled: "Spirit Keeper." 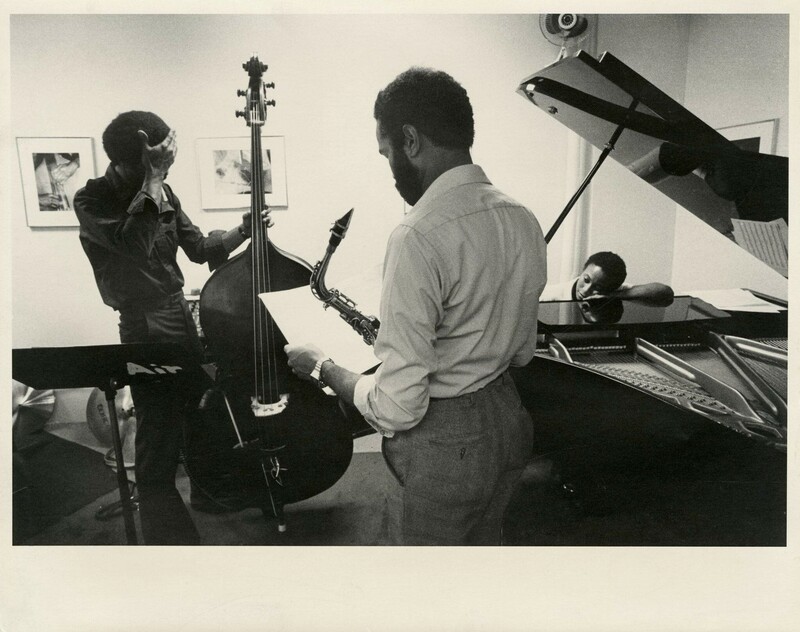 I remember Mike telling me the composition was inspired by Stanley Cowell’s “Effi” recorded by Bobby Hutcherson. After an unaccompanied solo introduction, Mike really lays the foundation down on this tune. It is the most straight-ahead tune on the session, yet it is in 3/4 time, what I like to call ‘power 3/4!” Geri just burns and lights up her solo with strong blues attributes. I try to maintain her groove before Mike solos and takes us out. Truly a performance worthy to be our title song. "Les Mots Flottant" is French for 'The Floating Words' or more concisely "Words Afloat". It is a title from one of the diaries of the French writer Anais Nin, whom I was reading at the time. I tried to capture the sound and essence of her early morning walks along the Seine River in the melody. I also later wrote lyrics to this tune. Of note here are Geri's burning solo and Bop's percussion coloring throughout the tune and him moving to the conga during the later part of Geri's solo when they double-time. Again, Bop's percussion contributions as in here and throughout the album gave it something very special and contemporary-sounding. I remember him listening and studying closely during the 70s and 80s to the work of master percussionists, Airto Moreira, Guilherme Franco, Mtume as well as many others. I like how he "colors" the music by constantly moving to different instruments within the same tune. This tune was originally meant to be and now can be dedicated to my beloved sister-in-law, Silver Melton who is the greatest writer I’ve ever known and is like a modern day Anais Nin. It was also through her efforts to bring in Svetlana as I have previously mentioned, that made this session possible. 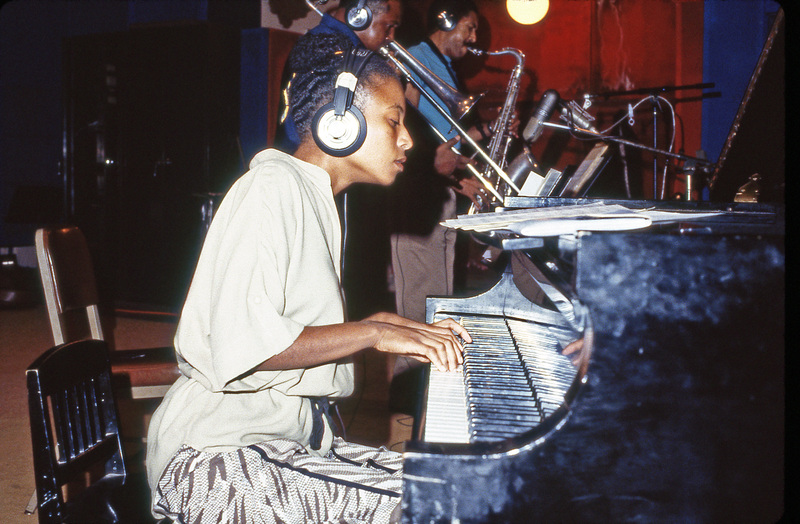 Geri Allen’s The Rain” is the most auspicious tune on the date. I remember the day Geri wrote this and called me into her room to play it with her. I loved it immediately. I don’t know why she never recorded or played it again. She’s got a lot of tunes she does like that. I remember a tune she wrote called “In Search Of The Ocean” that I’d sure like to find the music to! Years later as I matured as a composer, I understood why she discarded so many tunes as I find myself doing the same thing! As I've mentioned, I had asked Geri, Mike and Greg to contribute an original composition because they each were such great writers. However during the rehearsals, when we got to Geri's selected tune for the session, "No More Mr. Nice Guy"; after an hour of trying, we just could not play it! We set up another rehearsal to try again, and failed! She was compositionally so far ahead of us! We had trouble executing conceptionally where she was coming from. It took us a while to first even understand where she was coming from conceptionally; but even after understanding it, we were still unable to execute it. Time was upon us and we had to prepare for the recording session. So I said, "Geri, what about that tune you wrote called "The Rain"? Why don't you and I do that as a duo since we've already been playing it together here (at home)?" So that is how this tune was chosen. I think it's among the most beautiful tunes written by Geri. Thirty-five years later, after we painstakingly restored this tune, I popped it in the player and was taken aback by the voice singing the melody along with the alto sax! I had totally forgotten that Geri actually sang this on the session! I remember her asking in the studio would I mind if she sang the melody along with me. Would I mind? She was always so considerate! But she really wanted to do it and was excited as a vocal mic was set up for her. The beauty of what she does, both vocally and on the piano speaks for itself. Sublime, ethereal and meditative beauty! Greg Bufford's "In My Youth" was our six and final tune. As I mentioned, when we originally planned and recorded this project, it was to be for a vinyl LP. So there would have been 3 tracks roughly adding up to 20 plus minutes on each side of the LP. This would be the final tune of the session and we knew immediately, that it would be a great closer, -going out on an upbeat, positive note. Greg is an exceptional writer. He had been working with Vaughn Mason & Crew opening up for the Prince/Rick James 1980 tour. Greg had just received a Classic Gold Record for writing "Bounce, Rock, Skate, Roll" for Vaughn Mason & Crew. 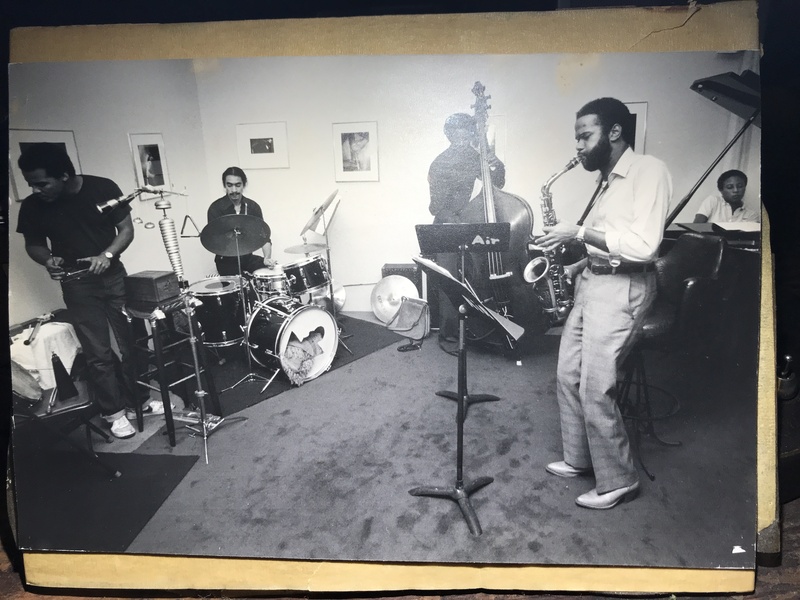 Greg and I would write constantly for the R&B/Jazz band we formed, Masterstroke featuring the legendary vocalist Jessica Cleaves that performed many local college and club gigs in the NYC area. This tune was a 'tour de force' for both Greg and Bop, as you can hear from the very beginning as it starts out with percussion only. When we had finished, the engineer, Vince Traina who had been listening closely to us, (you could tell he really liked what we were laying down) asked Bop if he wanted to multi-track a couple of percussion parts on this tune to which Bop happily obliged. As always, Geri was just FIRE! on this; and I had to come behind her throwing flame all over the place! In fact, everyone was really laying into this tune. It truly displays the full passion and power of our then present-time youth that we all were feeling, relishing in our glory of playing with each other! Objective accomplished! There is nothing quite like all the musicians of a band giving themselves completely to the music. As the music herein tells, we did this! To know this was an experience each of us never forgot and created a bond that has bound us together to this very day!